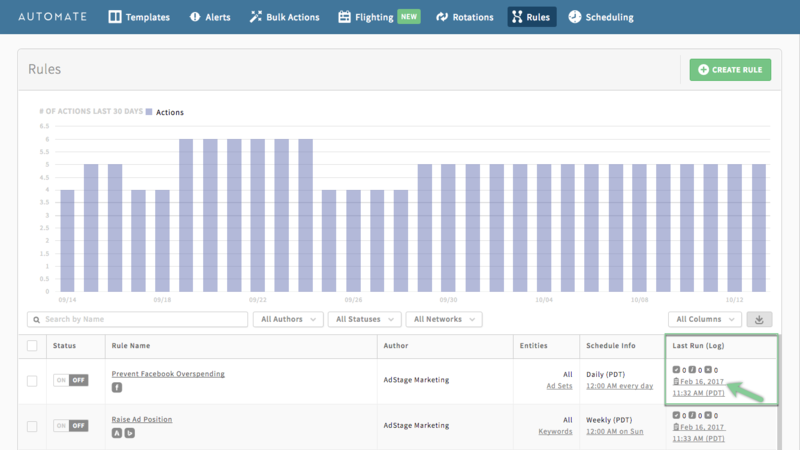 Each time a task in Automate runs, AdStage makes note of the changes made by that task. 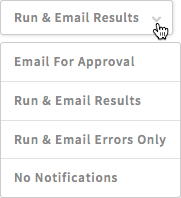 While selecting "run and email results", is the easiest way to connect with your automate logs, checking your Last Run logs directly in Automate is available in a single click. To check the log for any task in Automate, simply click the date link in the "Last Run (Log)" column in-line with your task. This is also a great place to check for any errors that may have occurred when the task ran. Once you click into your log, you'll be taken to the default "last run" view. Here, you'll see a detailed table with customizable columns including the date and time of the task's run, which account/campaign/ad set was affected, and details of what change was made. If you'd like to see data from each time the task has run historically, select "All Runs" from the drop-down box. You can also download this log as a CSV to save for your records.